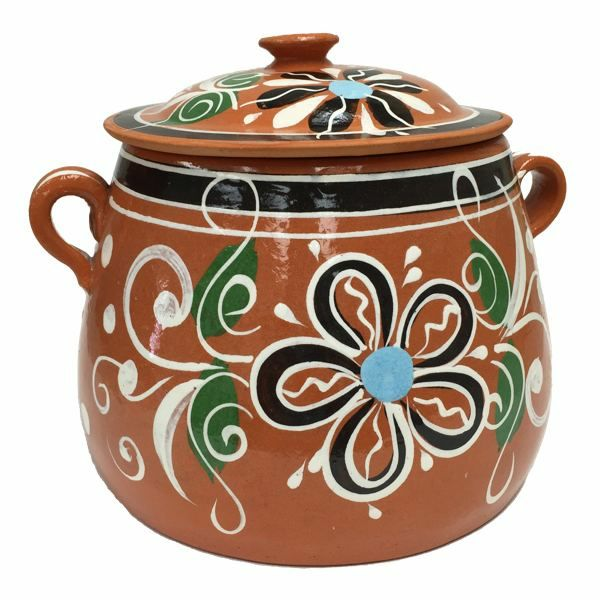 The dimensions for the Small Lead Free Clay bean pot are: 7" Height x 8" Width- 5.5" inside diameter. It has the capacity of three quarts or aprox 3 liters, designed to cook on open flame and electric stove tops. because MexGrocer's has been so good about replacing this pot for me three times in a row the first two times they came broken the third one got lost in the mail I was so frustrated but today arrived my new bean pot and I'm so happy.. Very good people to do business with highly recommend them they stand behind their products.